I debated whether or not to do this post for a little while because you've already seen quite a few things that I've eaten in March but I thought hell why not, there are still plenty of new and yummy things to show you. First up pancakes, I was a bit poorly on Shrove Tuesday so and me mum ended up having our pancaked on the following Sunday. I used my basic recipe and served them with lemon and lime juice, maple syrup and whipped cream, not overtly diet friendly but oh so good. As you probably gathered from my last Foodie Friday post I'm a bit of a fan of eggs, and I ate an awful lot of them in March but I don't think I ate them the same way twice. One of my favourite ways of eating eggs is to serve them softly boiled. Nothing can beat a soft boiled egg with hot buttered toast soldiers but an idea from the domestic goddess Nigella Lawson is well worth trying. Asparagus - Simply boil or steam some fresh, in season asparagus, drizzle with a little butter and a sprinkling of salt, and dip it in the soft and yielding egg - yum. You can't get any more comfort food orientated than baked beans on toast. 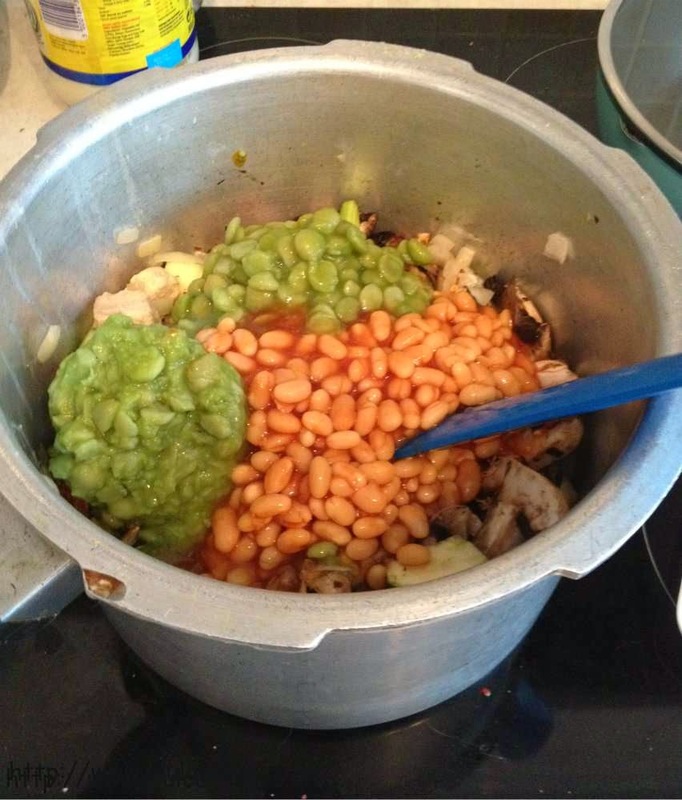 I'm having baked beans and vegetarian sausages here, alongside some mushrooms and an egg gently fried in Fry Light, all the taste but a lot less calories. Another one of my favourite egg based comfort food is scrambled eggs - here I've added a little bit of spring onion for a bit more flavour and I popped them on top of a toasted Udi's gluten free savoury bagel. and my super easy Egg Fried Rice, which I'm serving here with vegetarian sausage casserole. I can see myself making both of these recipes on a pretty regular basis now. The egg fried rice makes a more exciting alternative to normal boring rice and the curry loaf is really, tasty and filling and is ideal for main meals or snacking. Something that I already make on a regular basis is my Indonesian Rice With Tofu. This is basically curried egg fried rice with tofu. 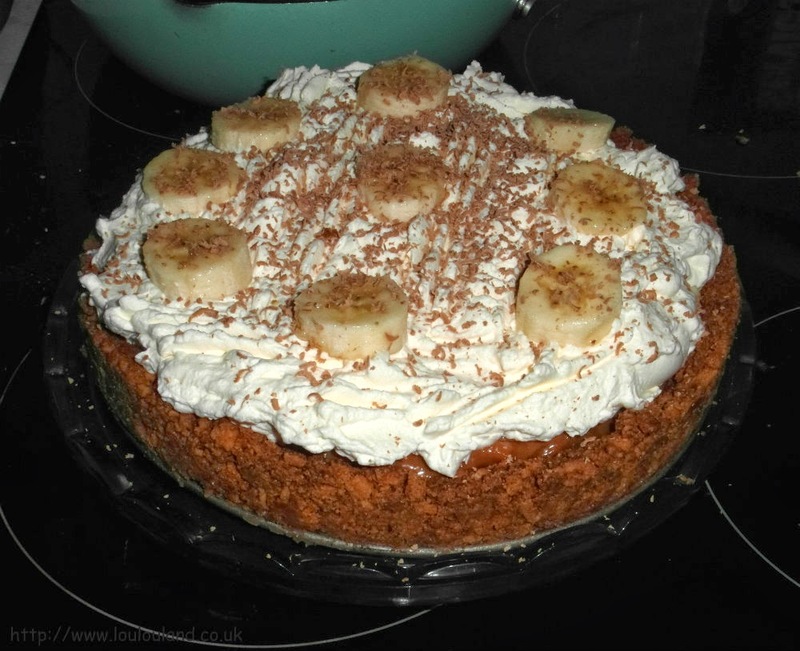 It moreish filling and super yummy - I've just sprinkled it with a few peanuts here for some extra protein. Unfortunately because I felt so poorly for most of March I didn't really had the opportunity to try as many new recipes as I would have liked but I did try out this one. the second lot with Slimming World chips (my latest addiction). and the final lot went in the freezer for when we can't be bothered to make something from scratch. 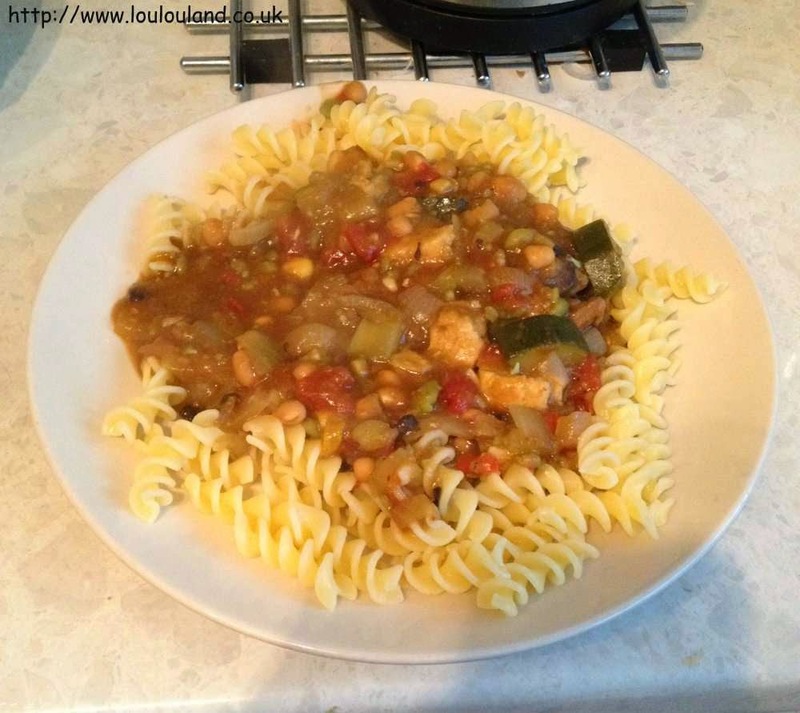 It sounds a bit of an odd recipe and concept but it really does work, you can add whatever vegetables that you like or even chick or Quorn pieces like I've used here. Sweet Freedom Choc Shot is one of the most talked about things that I've seen lately. Its basically liquid chocolate. It's vegan and gluten free and is made from fruit extracts, cocoa, natural chocolate flavour, rapeseed oil and water, and it's only 14 calories per teaspoon. It's primary purpose is to make hot chocolate, all you do is stir a teaspoon or so into a mug of hot milk and drink. and I've been stirring some into my porridge. From what I gather this product is something that you either love or hate. A lot of people say that it isn't creamy enough or sweet enough and that it just tastes like cheap chocolate but I disagree. I get a lovely almost fruity, dark chocolate hit to everything that I add it to, it really helps with my chocolate cravings and a little goes a long way. Where I think this comes into it's own though is when it's used as it was originally intended in hot chocolate. I hate, hate, hate low fat, low calorie hot chocolates, I just don't get on with them at all, I'm not a fan of artificial sweetener so that's probably why but a teaspoon or so of choc shot makes a lower fat and calorie hot chocolate that tastes as good as the full fat version. Sweet Freedom Choc Shot isn't cheap but it's been a real diet saviour for me over the last month. Something else that I purchased, after seeing various instagram pics, tweets and blog posts is this.. The final two things that I ate in March were about as far away for slimming, dieting and healthy eating as you could get - well they both contain fruit and veg but that's about it lol I'm talking about Mothers Day of course. My mum actually prefers something home cooked rather than eating out, so I made her a fat rich two course meal. For the main course I made Broccoli, Stilton And Walnut Pasta, I've made this loads of times and it's a real favourite, just saute the broccoli, some garlic and some peppers, than add some chopped walnuts, some Stilton and some cooked pasta, and stir it all together. It could have been worse I guess, I used Fry Light instead of Olive Oil, and I tried to limit the amount of Stilton and Walnuts but for the dessert there was no skimping it was a full on calorie fest.